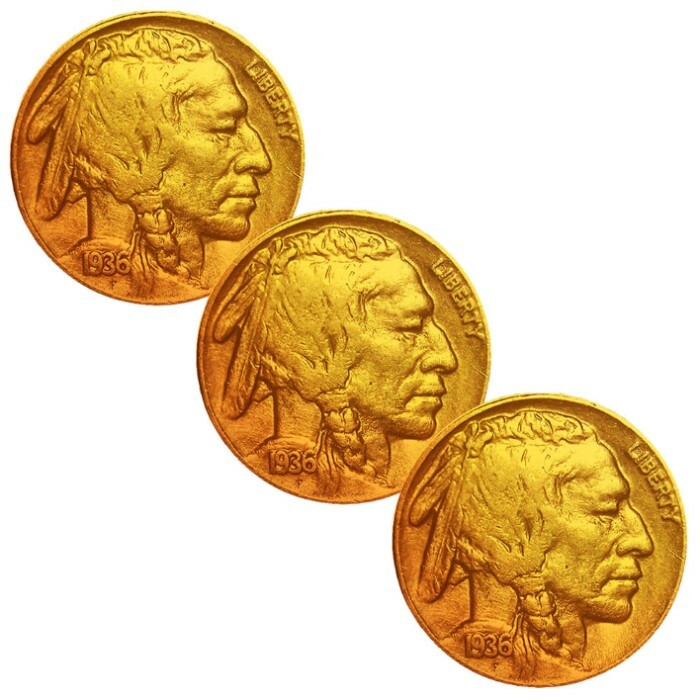 Buffalo Nickels - 24k Gold Plated - Set Of 3 | BUDK.com - Knives & Swords At The Lowest Prices! 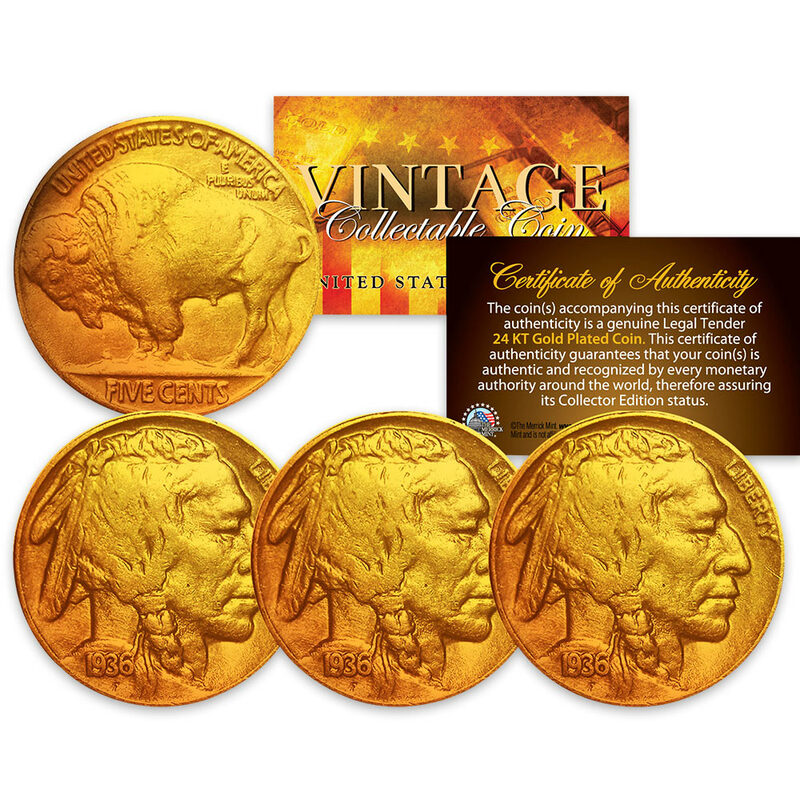 Here is your chance to own a set of three 24k Gold-Plated US Buffalo Nickels with a full date of various years (1913-1938). 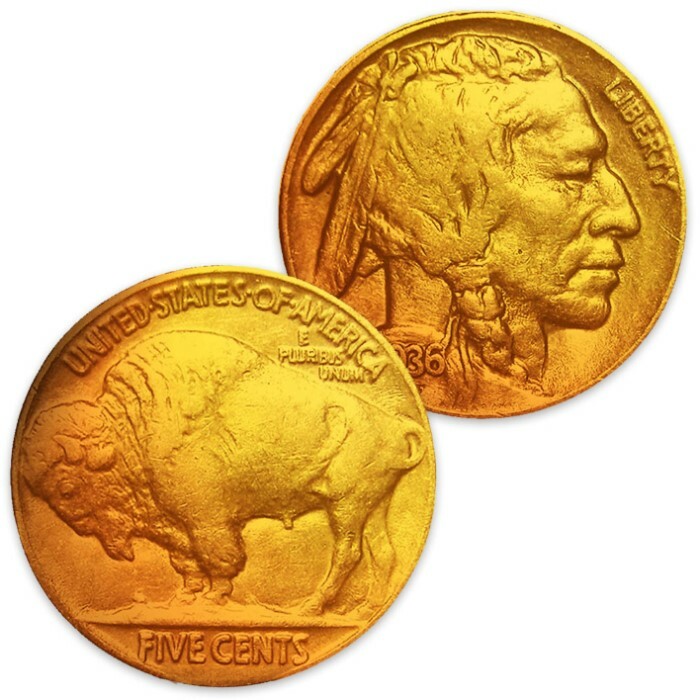 Each genuine legal tender coin is 24k gold-plated to highlight the original design, using a unique plating process. The result is an everlasting coin collectible of ultrahigh quality. An American Indian chief design in side profile is on the head, and an American Bison is on the tail. This commemorative piece is a US 5-cent coin with mint ID and year chosen at random.